The islands of the Wadden are situated in an intertidal zone in the southeastern part of the North Sea called Waddensea. 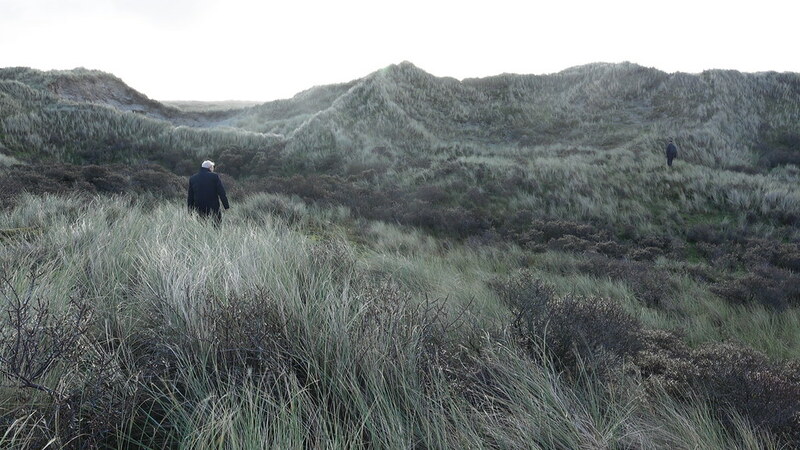 The island of Terschelling is the setting for IMRAMA, an investigation initiated by Jan de Graaf and Jeroen van Westen into the nature of this UNESCO world heritage site. The fieldwork of IMRAMA sets out to "look at - looking at the Waddensea". Theun of FoAM Amsterdam has been ivited to participate in the fieldwork on the island. 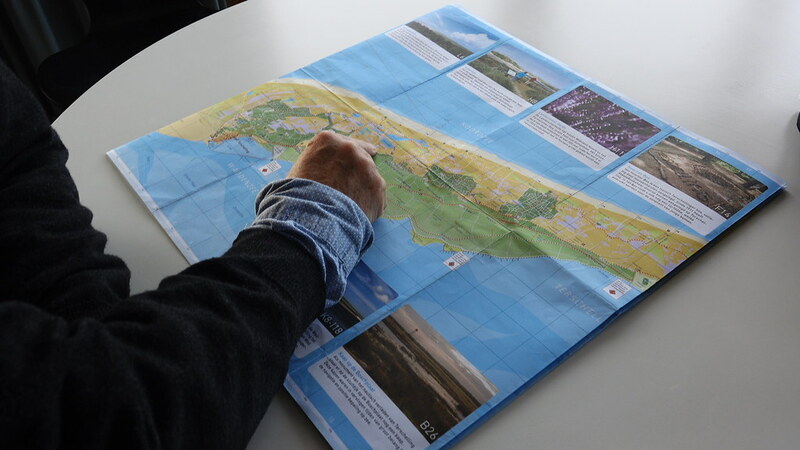 The IMRAMA organisers have identified keywords and fieldposts in the area of the island of Terschelling. Theun will explore the 'Periscope Dune' fieldpost which is related to the keyword 'sensorscape'. Or in the words of Jan de Graaf; "the Pericope Dune irelates to the idea of the dunes looking back at us." Theun set out on a first introducing fieldsession with four fieldwork experts with an encyclopedic knowledge of intertidal dynamics and the natural history of the Dutch landscape in general: Jan de Graaf, Jeroen van Westen, Marinus van Dijke and Gerbrant van Vledder. The Periscope Dune fieldpost relates to a classic comicbook story Kapitein Rob en het geheim van de Boschplaat (1948), about a naval hero in the genre of Captain Nemo and James Bond, defeating a sinister German plot after being captured by a drone-like machine, building his own set of scuba-diving gear from wreckage. The main lesson: vigilance. Our landscapes are full of eyes that monitor us 24/7. Jan de Graaf, The culture of sandy shores, in Techno-ecologies (Nida 2015).